Every now and then we come across something that blows our minds so much that it makes us wonder why we liked everything that came before it. This is one of those days where you can walk across roads knowing that the lights are telling cars to stop and you haven’t even pressed the button, or when you succeed in masturbating without it resulting in tears. It’s a great time to be alive. 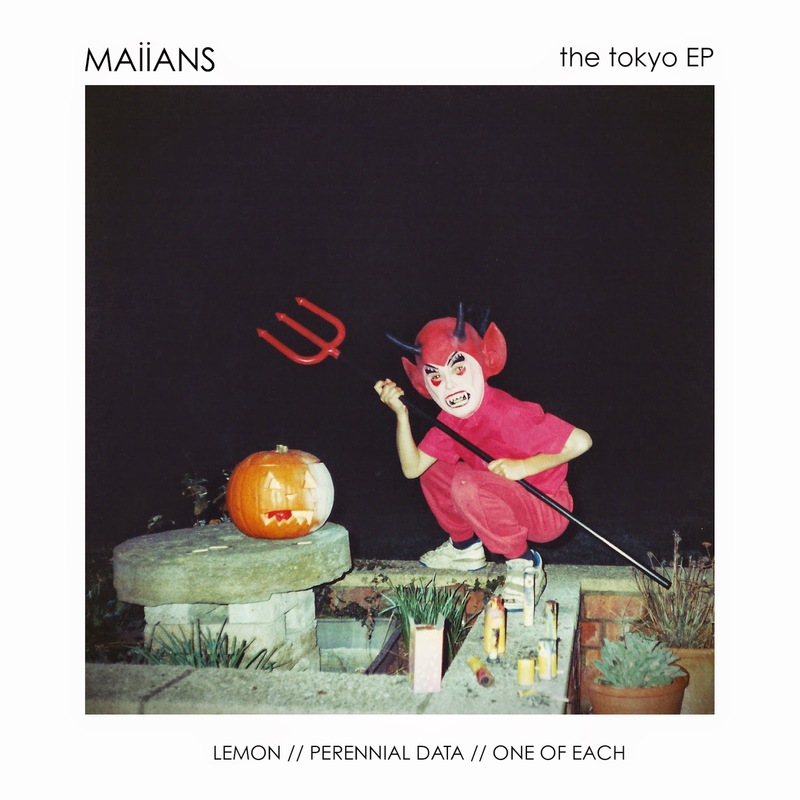 Last year instrumental five-piece Maiians released their debut EP Tokyo and their unique blend of double-drum electronica has certainly turned a few heads and shaken a few hips. Their newest single is One Of Eachand it is simply fantastic. Usually an eight minute long track that starts off with the sounds of post-rock guitars and little else would find it very tough to keep many people’s attention but fortunately Maiians interesting electronica foundation allows One Of Each to bolster it with some off-kilter percussion which surprisingly goes really well with the gloomy instrumental. A spoken word sample is played and definitely helps strengthen the downtrodden atmosphere but Maiians then whip the cowbells and bass drums out to suddenly progress things into a much more infectious tune rather than a Mogwai-esque adventure. Basslines are slowly introduced and they retain just as much groove and gloom as the drums and guitars and suddenly things are developing and building up towards something that might not be all emotional. Once the speech returns Maiians have hit the peak with some brilliant drumming cutting through the instrumental to finally add a touch of hip swing to the mix, and the constant thud of the bass drums suddenly throws us into an LCD Soundsystem gig. The band has somehow crafted something likeable and accessible out of something that began so moody, and One Of Each continues to run with the ball with some simply fantastic rhythms. The drums are given the freedom to do whatever they please, and the guitars now become almost synth-like and the track has become a behemoth of a dance jam. One Of Each is an incredible listening experience that starts off with the intention of to play with the heart but in the end decides to pull at the hips and the toes and oh my goodness, it’s just superb. Check out the video for One Of Each below, and for more music reviews, free downloads and goodness meeeeeee check out Exploding Head Syndrome on Facebook and Twitter.